conferring a title though you do not know me. there is no other God besides me. The Baylonians defeated Israel and took away its leading citizens as slaves to Babylon. 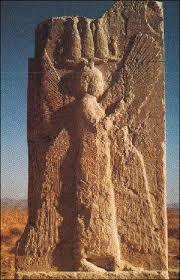 The Persians under Cyrus defeated the Babylonians and permitted the Israeli slaves to return to their own land. Isaiah, an Israeli prophet, writing from amongst the returning exiles, claims that Israel’s God, who is the only real God, has summoned Cyrus to carry out the conquest that will free his exiled people.He emphasises that Cyrus is unaware of his calling or of the one who calls: but he does what God wants. It’s a bold piece of theology. It claims Israel’s God as the one true God, the creator, the Lord of history, whose purposes may be unknown even to his people. Indeed Isaiah goes on to announce that their sufferings have “carried the sins” of other nations whom God desires to heal. This faith in a God who seems to act with the grain of history (backing the rising power of Cyrus) but also against it (he allies himself with the powerlessness of Israel), challenges modern theologies which no longer dare to identify the purposes of God in contemporary events. Ceratinly we can see why that sort of identification is fraught with peril. Obviously one danger is identifying one’s own interest with God’s, as Islamic State is doing (possibly with some cynicism) and as George W Bush used to do (possibly with not enough cynicism). Another danger is that a power that seems to be on the side of justice at this moment, may turn out to be a source of evil in due course. The military intervention of Nato allies in Libya looked as if it might be fruitful but turns out now to have spread anarchy and cleared a way for powers that care nothing for the rule of law. Anyone who had claimed God’s inspiration for that intervention would now be trying to find excuses for God’s incompetence. Does this sort of argument rule out Isaiah’s vision? Not altogether, I think. When the leader of a great power commits justice, perhaps almost by accident, we may surely note the possible influences upon him or her; and who can rule out the influence of God’s goodness, channeled towards a leader in a thousand different ways. 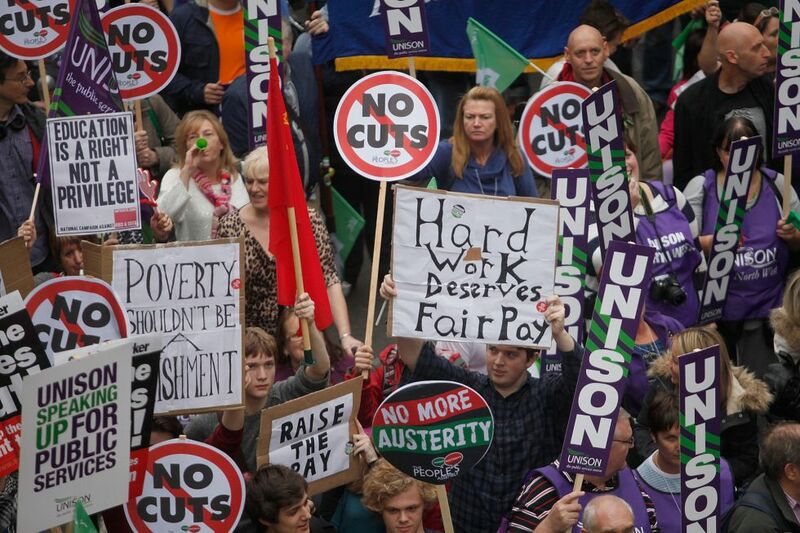 For this reason we must never neglect an opportunity to represent the cause of goodness to those with power, whether we do so by public demonstration such as the UK demo yesterday on the issue of low pay, or by online petition, or by suppoorting a charity who can make more expert interventions than we can. Sometimes leaders have claimed that God has directly spoken to them. Many of these have been amongst the most destructive in history, but our scepticism towards tyrants and murderers should not make us rule out Isaiah’s vision: it is possible for leaders of great powers to do some good. Not for the first time I have to note careless translation in this version of the Bible. (The Grail version used for mass). When Jesus is shown a denarius, he asks, literally, “whose image and inscription is this?” That’s important because his devastating contrast is between the coinage stamped with the image and inscription of Caesar, and the human being stamped with the image and inscription of God. The one may be returned to Caesar but the other belongs tio God alone. In this incident Jesus is given the chance to influence political leaders and perhaps a whole people. It’s a trap of course, as the questioners want either for Jesus to discredit himself in the eyes of patriotic Jews (by agreeing to the tax) or to put himself in danger from the Roman authority (by opposing it). Firstly Jesus exposes hypocrisy. Thoroughly patriotic Jews would not have used Roman coins. 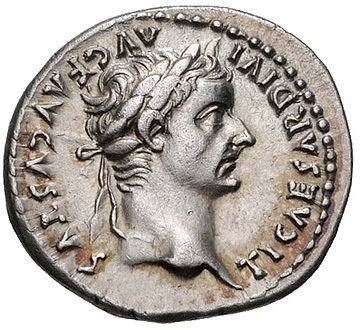 His questioners’ possession of a denarius shows their own compliance with Rome. Secondly, Jesus sends a message to the Jihadists. The supposed blasphemy of using coins stamped with an arrogant image is not important; give them back to Caesar. Pay the tax if need be. Thirdly, Jesus sends a message to all the powers in his society: human lives belong to God and are precious. They cannot be owned by Rome or by the establishment of Israel, or for that matter, by Jihadists. The radical wisdom of this answer is exemplary: Jesus exposes evil, reveals the goodness of the creator and urges worldly powers to respect the dignity of human beings. Later even his enemies were forced to admit that all their brutality could not destroy the image of God stamped on this man in his dying as in his living.